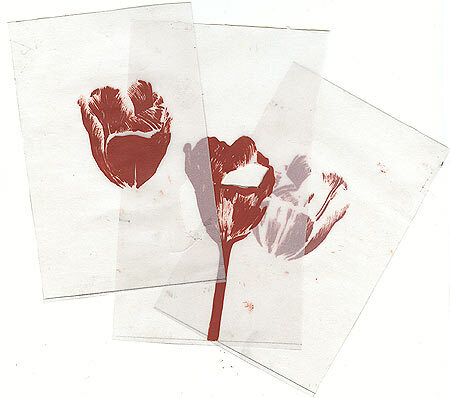 The photopolymer film, originally a product of the electronics industry, offers several options to transfer paintings, drawings, photocopies and computer printouts to the plate. This photosensitive film has to be laminated to a plate. The image, a positive on transparent paper or film, is transferred to the plate by UV-light-exposure (as the film hardens under UV-light). The exposed plate is developed in a soda solution. Beside exposing the image, an aquatint screen is exposed, thus creating an aquatint structure in the film. The development creates a relief in the film. Only the film is been inked and printed. 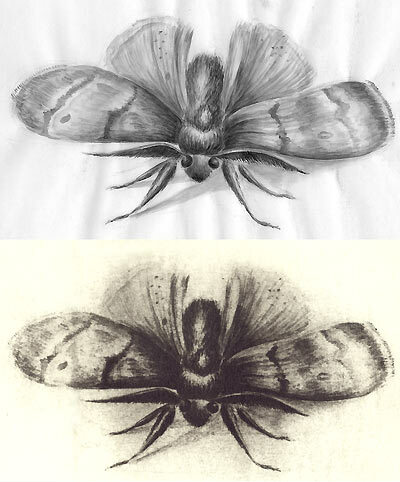 The image is transferred to the plate for later etching. After exposure, the film is developed until opening up to the metal. 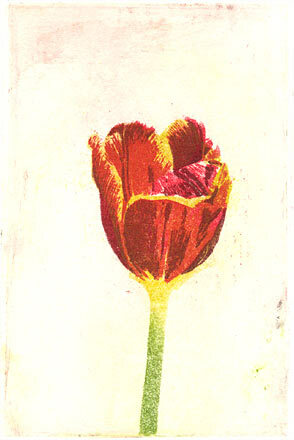 Before etching, an aquatint has to be applied.